Let’s face it – over the years, Facebook has evolved into a seemingly “pay-to-play” platform, making it even more difficult for marketers to reach their engaged target audience on social. For brands with an especially small budget, this can pose a huge hurdle. However, a few smart moves and engagement tactics exist on Facebook that are still free to the taking for marketers and can assist in expertly leveraging your hotel’s brand on the platform. 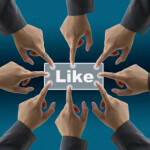 Ready to optimize your Facebook page and grow your engagement? Keep reading! 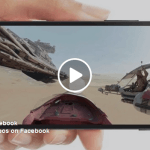 Facebook recently added a call-to-action button to its Pages, where companies can embed booking links, with “Book Now,” “Call Us,” “Sign Up,” and other calls to action for users to partake in. 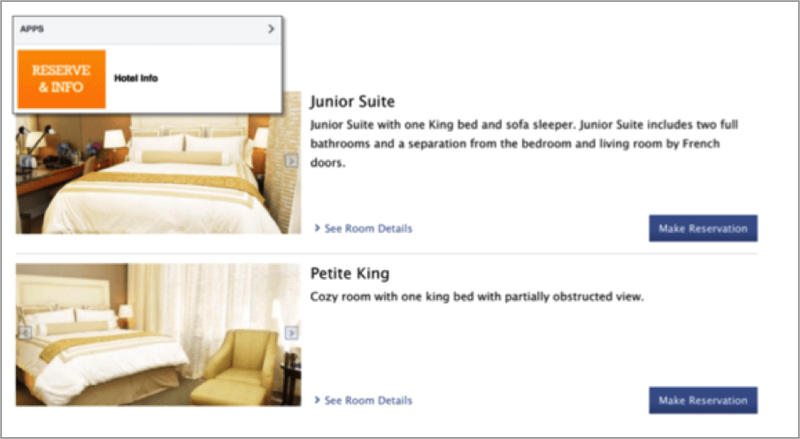 Opting into adding a “Book Now” button at the top of your hotel’s Facebook page that redirects to your booking engine will not only encourage bookings, but make the booking process that much easier for your prospective guest. Another great feature that comes along with the new call-to-action feature is click metrics – you can see how many users click your “Book Now” button on a monthly basis. 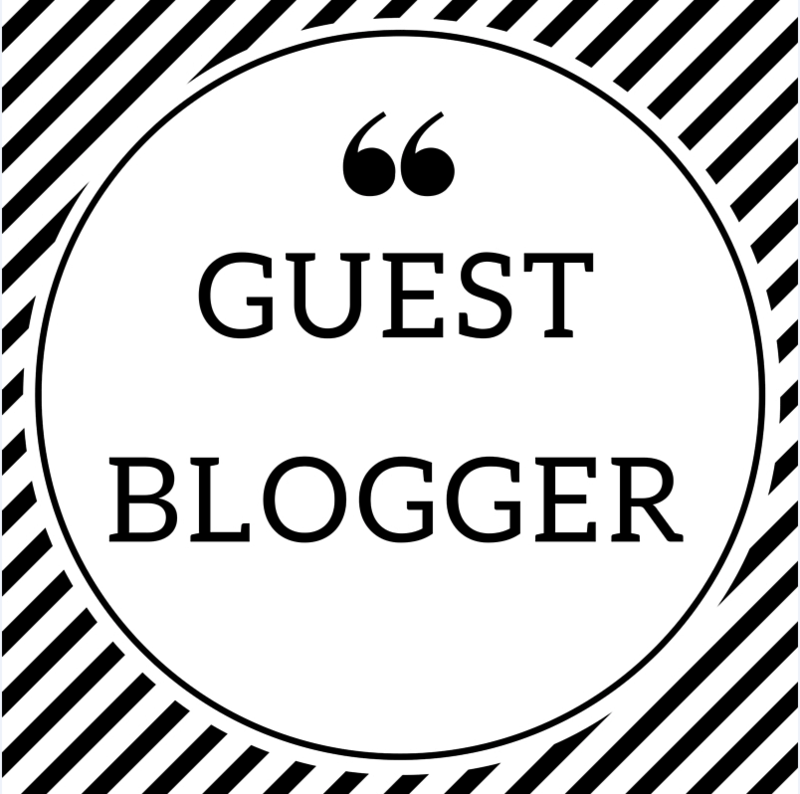 Sell prospective guests on your people – not your property. One thing I’ve noticed is that user engagement spikes when sharing content is related to Hotel Teatro’s staff, rather than our special packages, room rates or events. Enter our “Who’s Who of Hotel Teatro” post series, which highlights one of our stellar employees each month. Each post consists of a photo of our featured employee as well as a brief interview. On average, these posts garner 500% more engagement than our typical hotel-focused posts. That’s a huge increase! It’s important to push your special promotions, but it’s equally important to share snippets of your staff – prospective guests want to put a face to a name and see who will be taking care of them during each step of their stay, from initial booking to check-out. Make use of your apps. If you haven’t implemented Facebook’s selection of free apps on your hotel’s page, what are you waiting for? Our goal on Facebook is to not only engage with our prospective guests, but to also make bookings via social as easy as possible. 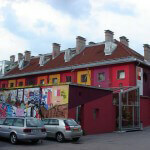 By taking advantage of the Hotel Info app available through Facebook, we’re able to discreetly promote our array of rooms and suites to users who are exploring our profile without cluttering up our feed with overtly promotional messages. TripAdvisor is debatably one of the most important resources when it comes to swaying a potential guest into sealing the deal and choosing to stay with you. Discerning travelers are researching their destinations more and more before their stay, and we want to make a great first impression. Don’t shy away from sharing exceptional, 5-star TripAdvisor reviews with your followers, while also encouraging reviews from your past guests. 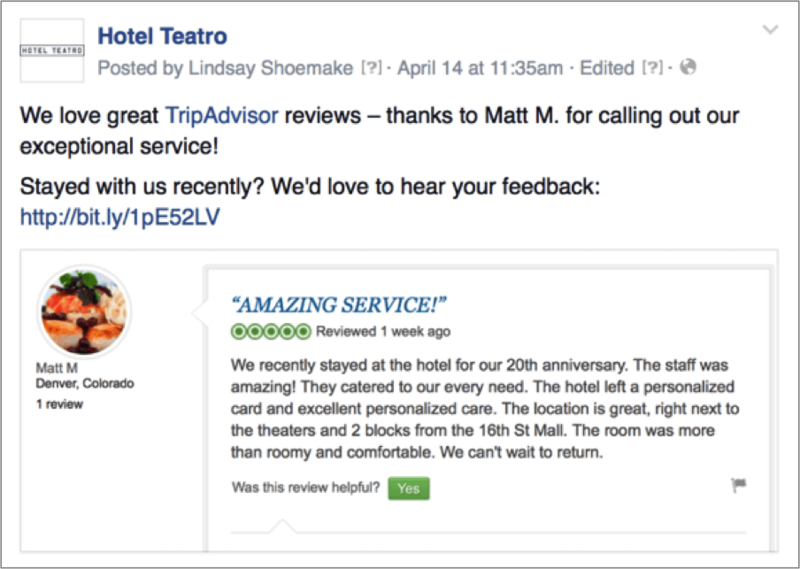 Hotel Teatro makes a point to share one outstanding review on Facebook per month, and has already witnessed an increase in user reviews on the platform. This post was contributed by Lindsay Shoemake. 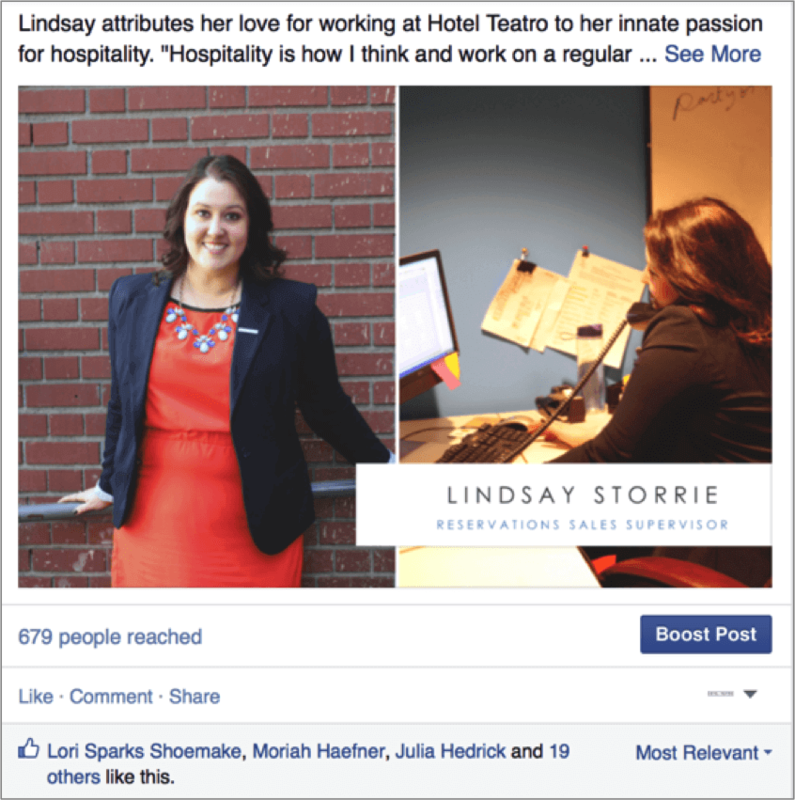 Lindsay serves as Hotel Teatro’s first in-house Social Media Manager, where she enjoys being the voice of the iconic brand in the digital sphere. Over the years, Lindsay has been featured for her expertise in social media, digital marketing, branding and PR by the likes of USA Today and The Huffington Post.